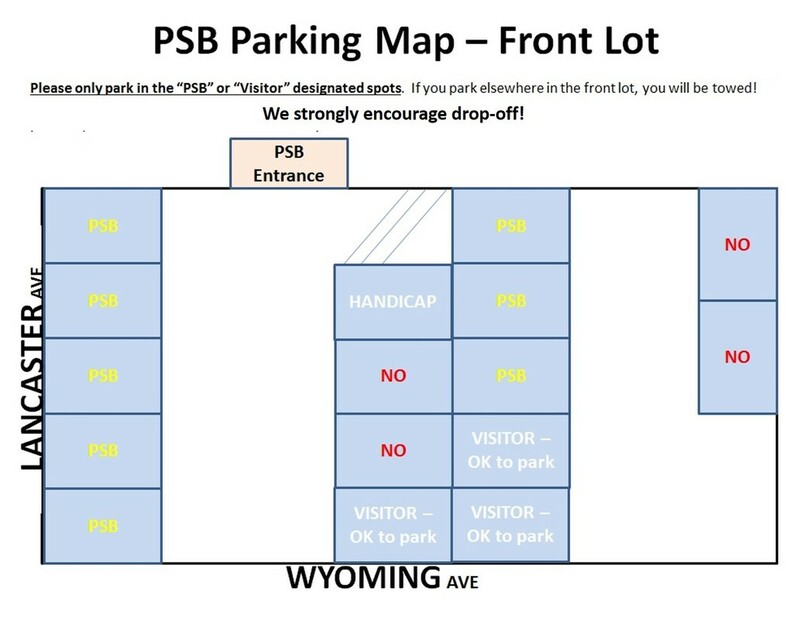 • PSB is allotted 8 parking spots in the front studio lot (all of our spots are marked "PSB"). • There are 3 additional spaces in the front lot marked "Visitor." If these are unoccupied, you may park there. • There is absolutely NO PARKING ON the Private Street! • We strongly encourage drop-off!